Whenever a large commercial vehicle such as a dump truck crashes on a busy road, injuries are sure to follow. A crash occurred yesterday afternoon that resulted in the eastbound lanes of Route 422 being shut down for several hours, as well as multiple reported injuries. The Montgomery County crash happened around 2:00 p.m. yesterday afternoon, and details are still emerging. According to police who were at the scene of the trucking accident, the dump truck had flipped over and took out multiple lanes of the highway shortly before the Oaks Exit. Apparently, the dump truck had gone over a railing before coming to a halt on the median. At the moment, it is unclear who exactly was struck by the dump truck but serious and possibly even catastrophic injuries have been reported. There will certainly be more to share as the crash is fully investigated. Unfortunately, it does not come as a surprise that people were injured when considering the nature of a dump truck on the highway. 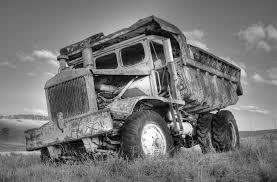 Not only are dump trucks tremendously heavy, but combining that weight with speed will always result in devastation if the slightest mistake is made. Sadly, the driver here was negligent to some degree, and must now be held liable. At Edelstein, Martin & Nelson, we understand the importance of holding negligent drivers accountable for their actions. Especially when that driver is responsible for a large truck that could potentially end people’s lives. If you have been injured by a negligent driver, call 888-208-1810 today.